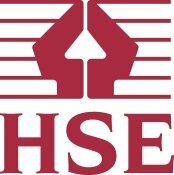 Want the expertise of a professional Tree Surgeon in Ewell? GraftinGardeners have young, bright and skilled tree surgeons in KT17, Surrey and surrounding areas. 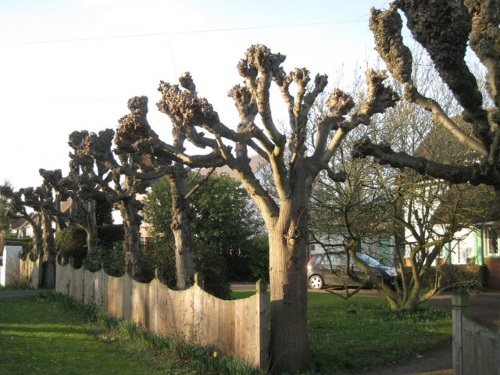 GraftinGardeners can provide you with expert arborists in Ewell and surrounding areas. We provide an extensive tree surgery service with no limits on the work we can accomplish. Our company is well known for delivering quality results at competitive prices. If you require tree surgery in KT17, don’t hesitate to contact us, were always here when you need us. Is an old tree taking up to much space in your garden? If so we can help! Our expert tree fellers can fell any tree no matter where it’s situated. We’ve felled hundreds of dangerous trees in our time and have the experience and man power to get the job done safely. GraftinGardeners can perform all types of tree pruning, from dead wooding to crown reductions and even heavy pruning procedures such as pollarding. Our team has the knowledge and expertise to prune, shape and reduce all tree species whilst maintaining an even balance and good overall shape. 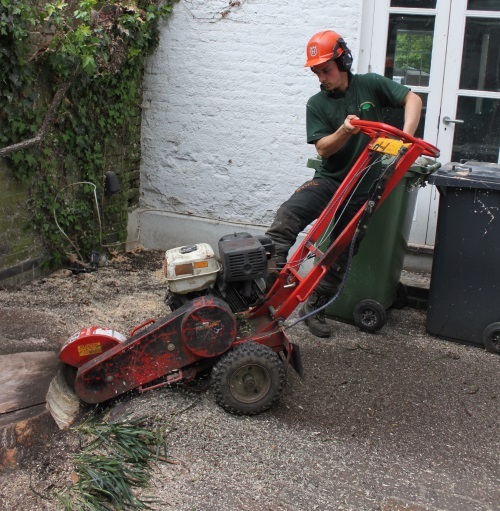 Need a stump removed to make way for the new extension? GraftinGardeners have specialist stump removal equipment to break out and remove tree stumps. With our powerful stump grinder we can remove your annoying stump with the hour. If a fallen tree is causing you hassle we can help. We’re open 24 hours a day 365 days a year for emergency tree removal. We’ll start off by assessing the damage (if any) and figure out the best possible solution. We can remove fallen trees fast and efficiently whilst ensuring the safety of you and others in the affected area. Ivy can be a nice feature to your home and give you an aesthetic feel. It can also cause major problems to your properties structure when it’s left unmanned. We offer an all in one ivy management service, from removing damaging ivy and climbers to trimming and shaping them to your accord. 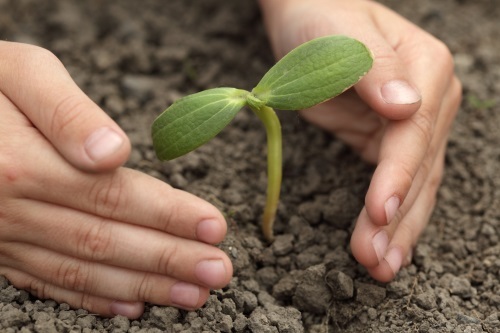 Got a tree you want to plant but don’t know where to start? Take the best start by calling us first. Our arborists are excellent at planting tree and have lots of knowledge in the cultivation and management of all kinds of tree species. Well trimmed hedges make your garden look great and are a bright sight to look at. We have skilled tree surgeons that have years of experience in performing hedge trimming. We can trim and shape anything from hedgerows to conifers and everything in between. Our boys will come to you and follow specific instructions to get the exact shape you want. Tree pollarding is a heavy form of pruning that’s essential for certain tree species like willow and poplar. If you get pollarding wrong it can threaten the life of the tree and may need to be felled for safety. We will always asses the tree first to determine correct tree pruning requirements of the species.